I LOVE studying the Doctrine and Covenants and one of my favorite sections is 43:29-35. This is all about the Millenium and I just love it. Hearken ye to these words. Behold, I am Jesus Christ, the Savior of the world. Treasure these things up in your hearts, and let the solemnities of eternity rest upon your minds. Isn’t it just beautiful! Especially in such a dark world right now. When I saw that this was the topic for this week I had it. Treasure! 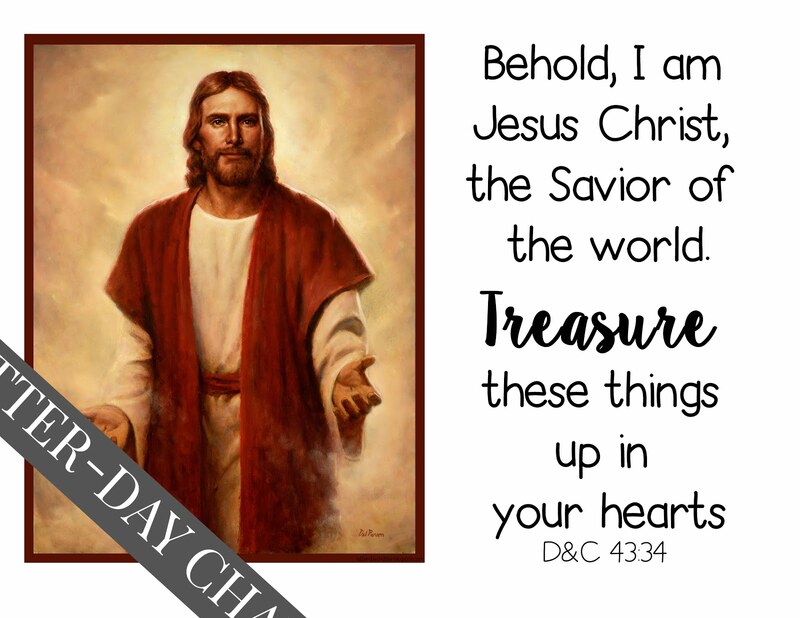 Jesus Christ is a treasure don’t you think? 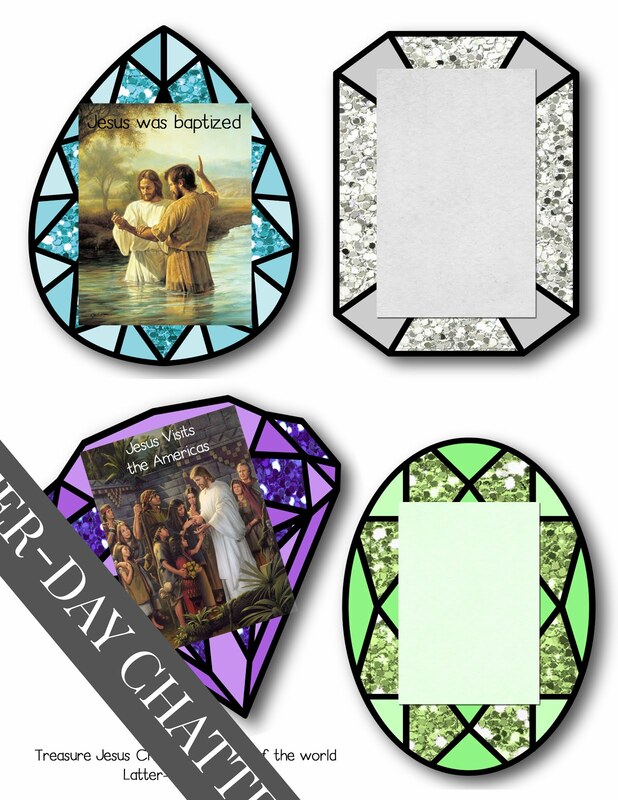 Ask the kids, how is Jesus Christ a treasure to you? What has He done that that is like a treasure? Birth: Jesus Christ is the literal Son of God, why do you think that Heavenly Father wanted Jesus to have a dad here on Earth? How was Jesus coming to Earth part of Heavenly Father’s Plan? Baptism: Jesus is perfect, even when He was on the Earth. Why was Jesus baptized? How was Jesus being baptized an example for us to follow? Sermon: Who was Jesus teaching? How does the Savior want us to live our lives? What other name is the Sermon on the Mount called? Why do you think it’s called the Beatitudes? Garden: Jesus was in so much pain, who came to help strengthen Him? Who did Jesus suffer for? Why? How can we use the Atonement in our lives? Cross: What did the people do to Jesus after He was on the cross? Why did they throw a spear? Why did Jesus ask Heavenly Father to forgive them? Who did He want God to forgive? What were some of the signs of Jesus’ death? Resurrection: Why was Jesus Christ’s resurrection necessary? How many days was He in the tomb? Who was the person that saw Him? What did she do? Why couldn’t the apostles touch Him? 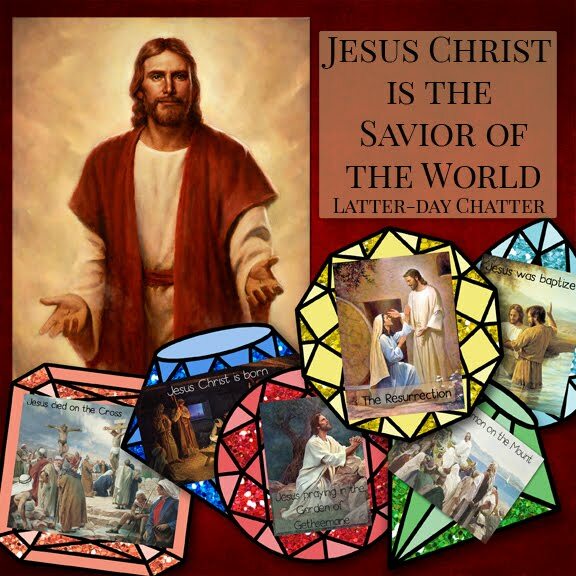 Americas: Why do you think the Savior let every person touch Him? What do you think it would have been like to see Jesus and touch Him? I love this topic and I try and teach my boys how to serve each other. And I wanted to add a game to the Sunday Box about service so here you go! 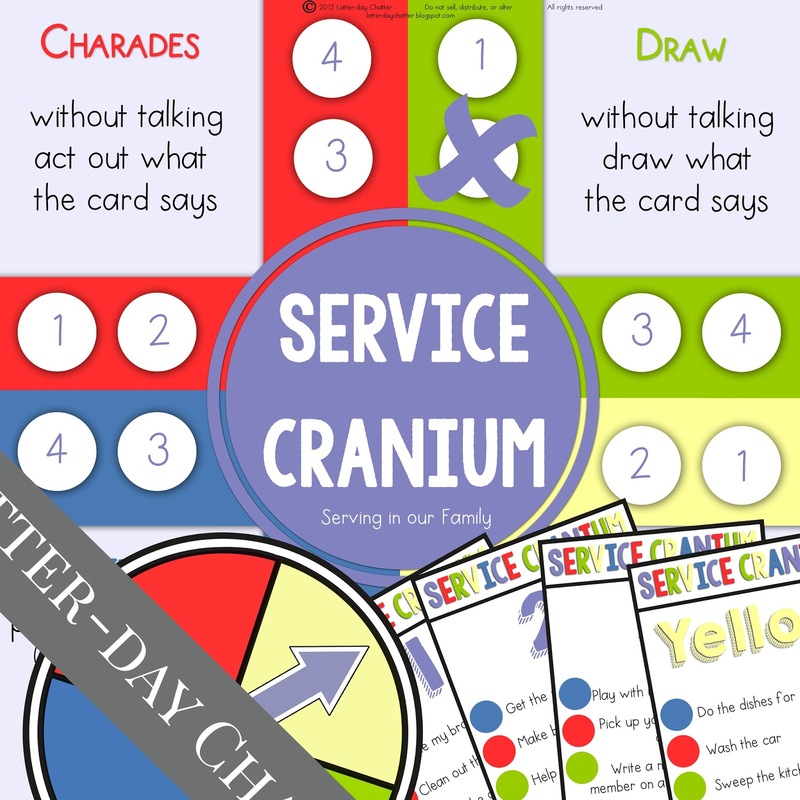 Service Cranium…. this is sort of like the normal game but with my own twists. blank cards to create your own and add more ways to serve each other each time you play or make it a little more challenging for youth by asking questions! I’ve also included some ideas to help the kids if they get stuck on the drawing part, ideas for how to say it silly, and prop ideas you can bring for the younger kids. As I was thinking of ideas for this week, my boys were playing with a couple boats making them crash together and shooting–because they’re pirate ships, didn’t you know!– And I remembered this article from President Monson and loved the analogy. So…..